Train travel has always been a major component in nation building. 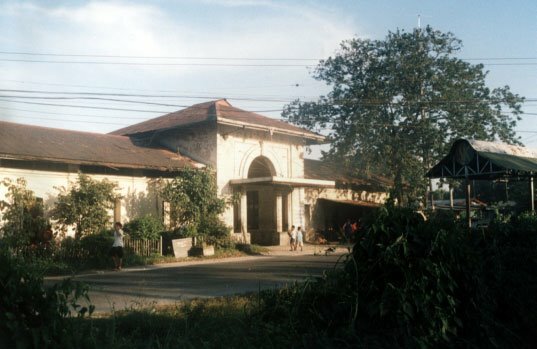 The Manila-Dagupan line of the Manila Railway Company Limited, precursor of the Philippine National Railways opened its first line in 1892. This quickly led to the efficient delivery and transport not only of goods and people but also information to the north via an efficient, reliable and fast (8 hours at that time) mode of transport the Philippines during the last decade of the 19th century has yet seen. 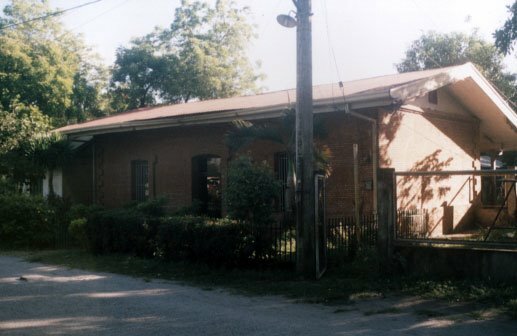 Along the rail route, numerous stations were built to house and accommodate passengers and Station Masters. 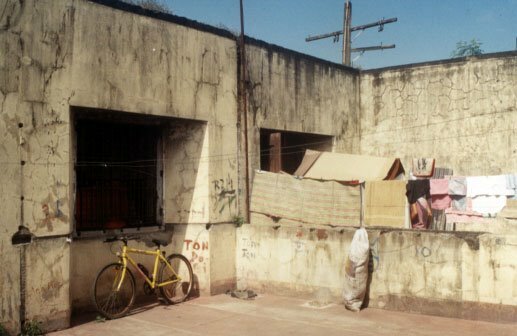 These structures, most made of brick and wood, who shelter the official needs and functions of the assigned Station Master as well as commuters who would wait for their rides as well as onlookers who as part of their daily routine would flock to see the trains pass by. 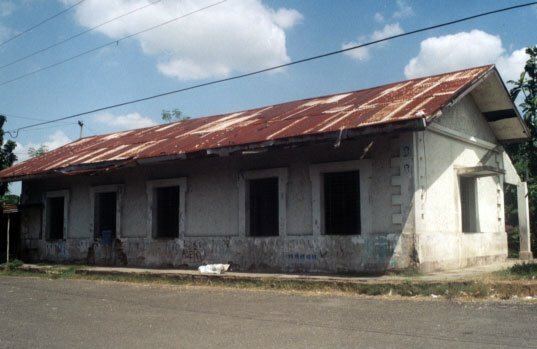 The station thus became a hub of the community, springing to life a multitude of activities from selling food to travelers as well as meeting place for travelers. 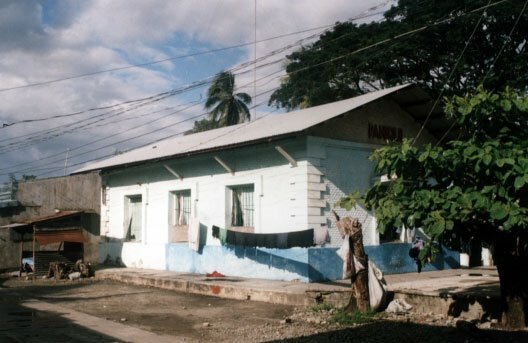 With the proposed revitalization and modernization of the North Line, a plan has been put forward to demolish the old stations and replaced with new ones. 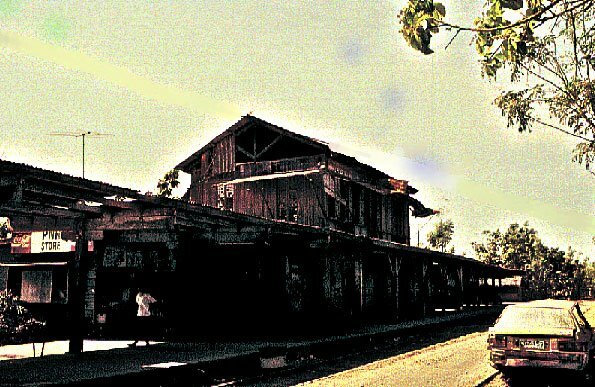 This wanton destruction will remove from history the vestiges of these stations leaving the people no trace of the rich architectural past the railways had on Philippine History. It is the purpose of this study to document and study the Spanish built stations along the North Line. To secure, document and if might be preserving the rich architecture these stations had for future generations of travelers to come. Growth needs progress, and progress sometimes leads to the removal of the old in place of the new. The government in its desire to revitalize the North Line of the Philippine National Railroad has now seriously undertaken the task of rebuilding the destroyed North Line. Part of the modernization program of the government is the revitalization, and upgrading of the rail link between Manila-Clark, which forms part of the First Phase, and eventually the whole line to Dagupan City. In line with this redevelopment is the replacement of all the old terminals with new ones. 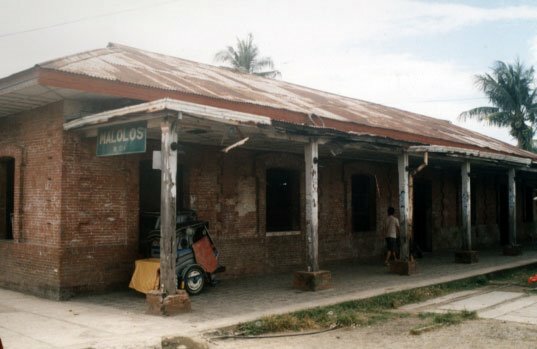 With the impending revitalization and thus modernization of the Manila-Dagupan Line, the need to chart and document the remaining Spanish Built Train Stations along the line is integral. 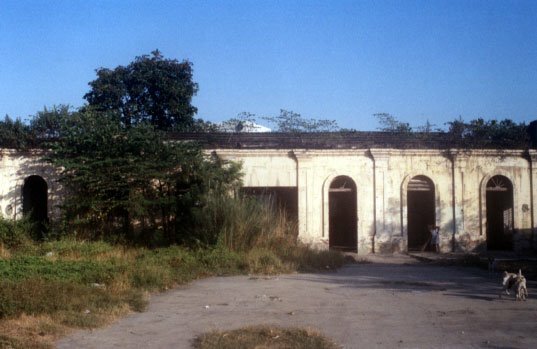 The management of the Philippine National Railroad as yet has not signified their intentions of retaining these structures prompting some local government particularly those of San Fernando in Pampanga to declare these stations as historic. But unfortunately not all-local officials are enlightened. With time fast ticking by and with the proposed revitalization not only a dream but also now a reality. The demolition of these stations is fast becoming a reality as well. Notice when one travels the length and breadth of the country, the traveler is greeted with a myriad of scenery’s, from pristine beaches with powder fine sand, azure blue seas covered with a forest of corals, majestic mountains with profiles that tests your most vivid of imaginations, ancient and not so ancient structures left by various colonizers, and the most fun loving and hospitable of peoples in this part of the world. Yet when we visit these sights we normally forget that there are structures dotted in our landscape that make visiting and experiencing these marvels possible. Traveling by land is still the most natural and preferred mode of transport in and around the country and this has been made possible not only by the provision of quality grade road networks that make traveling comfortable and memorable, but also in a very discreet way, by bridges, which span the gaps of the earth’s profile. These bridges which in most cases are unnoticed by any seasoned traveler bring communities together, enabling produce and relations to be established and sites which other wise would be passed by, noticed. And what was once separated by torrents of water, or treacherous ravines can now be accessed with ease with the presence of a bridge. No wonder throughout the course of history, bridges have played an integral part in the building of communities. 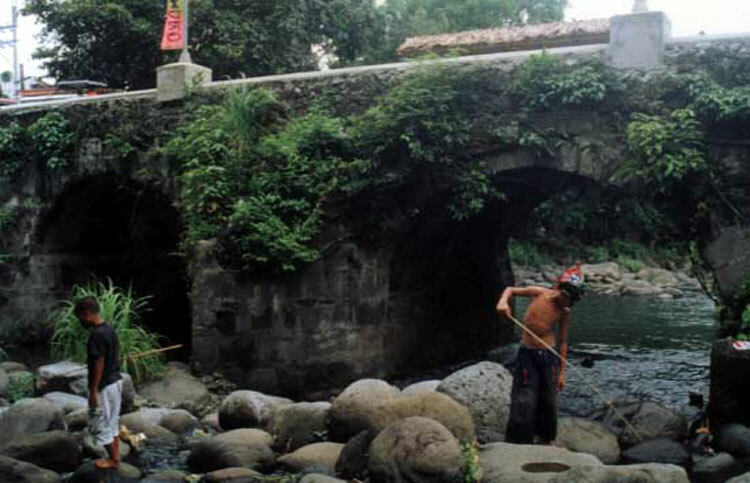 Bridges have appeared in different guises throughout the course of human evolution. From one made by Mother Nature, in the form of a fallen wooden tree, to those made by man such as a simple wooden plank laid out across a gap. With a little know how in engineering and with the basic tools of construction, soon men crossed the gaps with more interesting designs and with longer spans enabling distances to be crossed at any desired location. 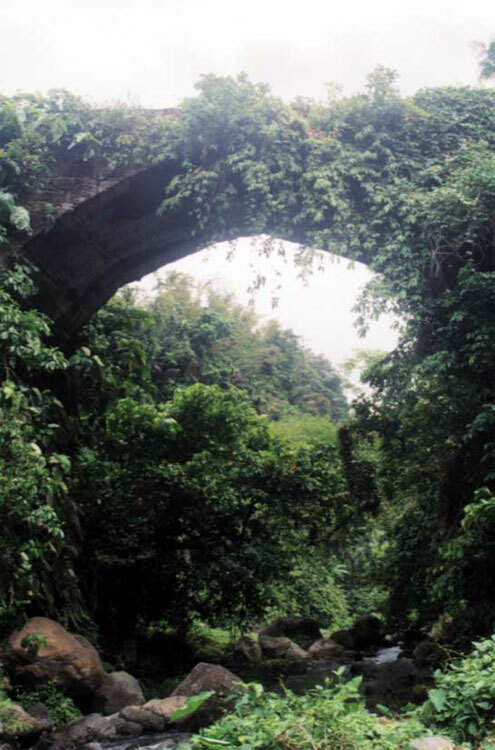 Bridges became part of the landscape, in some cases it heralded the arrival into an important town. Tolls were collected and customs laid claim to any item deemed taxable. On the other hand there were those which became so significant in the survival of communities that they were converted to virtual fortresses, inventing devises that would enable spans to be drawn away from intruding enemies, thus saving the town from intrusion and subsequent destruction. In highly populous communities, bridges became virtual cities with houses built on top of them, a fine example is the Renaissance Bridge of Ponte Vecchio in Florence, Italy, where today expensive shops line both sides of the span. Similarly in London, England, the famed London Bridge, which as the nursery rhyme would say “kept falling down” was once an inhabited bridge, only later in the early 19th century did the original structure give way to a much wider and modern bridge which, in a strange twist of fate would as well be replaced by the new London Bridge of the 1970’s. By the mid 19th century with the Industrial Revolution in full steam across Europe, a new material, steel became the material of choice. Bridges made of metal plates, riveted together crossed daring spans. Bridge design as well took a different turn, with spans traversed either in suspension or a series of trussed beams. In time, bridges started to accommodate different modes of transport. From the traditional horse drawn carriage to the automobile, from trains to narrow hull boats, from people to water, bridges have been built primarily to assist man in his needs to travel. 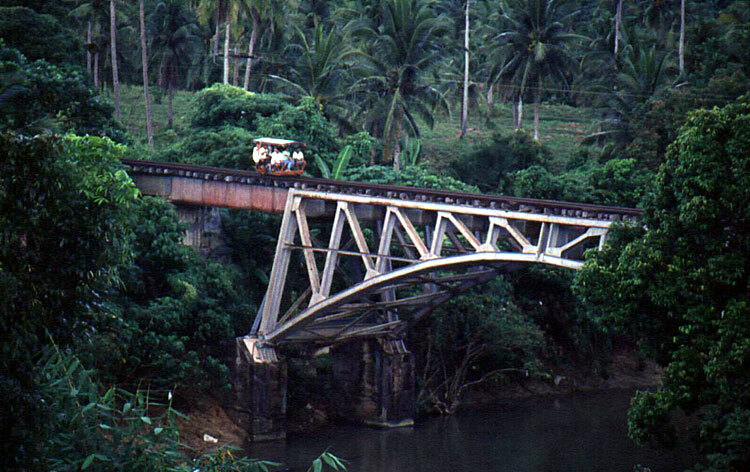 In the Philippines, the construction of bridges occurred with the colonization of the islands by the Spaniards. Prior to their arrival, tribal communities lived beside bodies of water and traveled from one place to another via small boats. The Spaniards on the other hand in their desire to colonize and Christianize the natives established fixed communities under a system of governance and town planning known as Leyes de las Indias, or the Laws of the Indies. This dictated that communities should be permanent and safe, and accessible by land or sea to other towns. 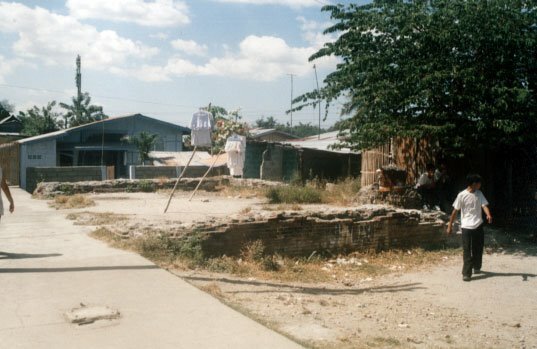 With the necessity of accessibility, especially by land, the need to establish road links and subsequently bridges became a priority of the Spanish Colonial authorities. 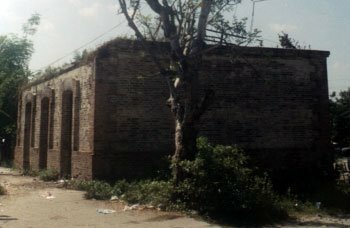 The building of roads and bridges, Caminos y Puentes, in the country was initially conducted by the Spanish Friars assigned to a particular mission. These friars were neither trained engineers nor builders but with a basic understanding of Renaissance building techniques as well as most likely a pattern book brought in from Mexico or Europe, the construction of lasting bridges commenced. 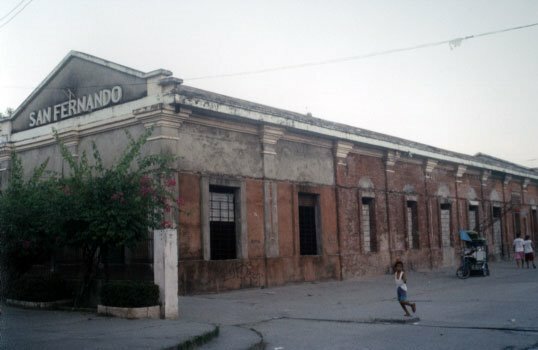 Though subsequently replaced by trained Engineers from Spain, the Inspección General de Obras Publicas or the General Board of Public Works was created by Royal Decree in 1866, the construction of these bridges, some still standing has proven that ancient building principles and techniques can never be replaced by modern technology. Though during the latter part of Spanish colonization, and with the arrival of the Americans in 1898, technology did come in with the construction of four significant bridges in the country. The Puente de España, the precursor to the Jones Bridge was a bridge of major proportions to be built across the mighty Rio del Pasig. Erected in 1875 to replace the earlier Puente Grande, the Puente de España had six spans of masonry and two central arches of iron. Capable of accommodating pedestrian and vehicular traffic, at that time consisting of horse or carabao drawn carts and carriages as well as a modern trolley system, the tranvia, the Puente de España lasted until its subsequent replacement during the 1930’s with Juan Arellano’s Neo-Classical masterpiece, Jones Bridge. 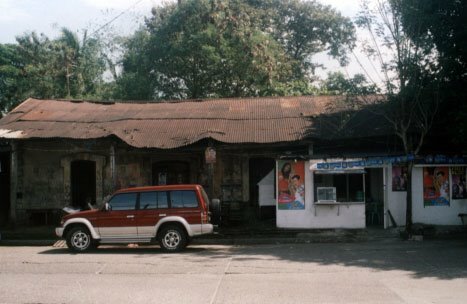 Another significant structure erected across the Pasig was the precursor to the art deco Quezon Bridge in Quiapo. The Puente de Colgante was the second bridge to be opened to cross the river. A beautiful piece of engineering in a time when Manila was vying for the title of Paris of the Orient, the Puente de Colgante was a suspension bridge. 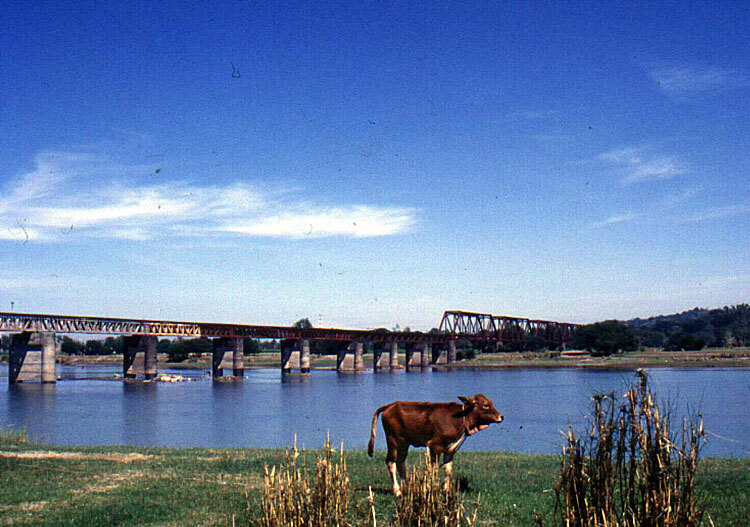 Erected in 1852 by Matia, Menchacatorre y Cia, a private company, the bridge, had the distinction of having probably two “firsts” in its reputation. 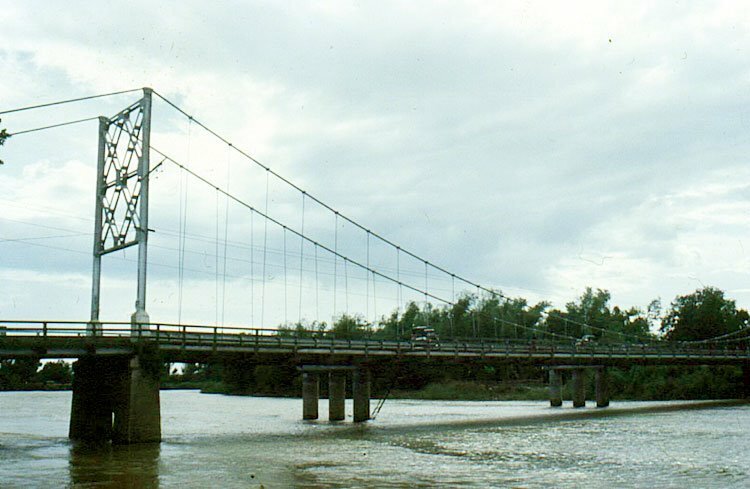 The first suspension bridge, not only the Philippines but in South East Asia as well, and, probably the first toll bridge of its kind in the Philippines, a precursor of the modern Sky Way, albeit for pedestrian use only. The third to be built spanning the Pasig was the Puente de Convalecencia or better known as the Ayala Bridge, originally composed of two separate spans connected by the Isla de Convalecencia, which is home to Hospisio de San Jose, dropping point for abandoned babies, the bridge over this island was originally made of wooden arched trusses. Completed in 1880, it suffered major structural damage and completely collapsed 10 years later. 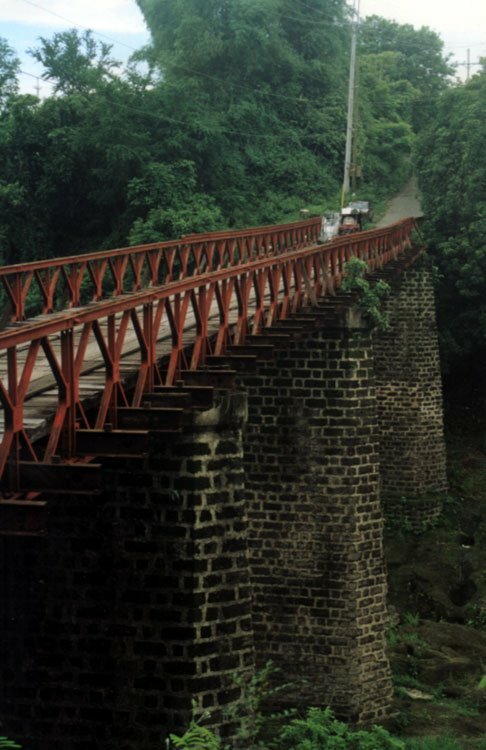 This was subsequently replaced with a simple metal saw trussed bridge in the last decade of the 19th century, though not significant for its design, its engineer nevertheless is important in the annals of Philippine history, for it was the only bridge that the famed French Engineer by the name of Gustave Eiffel built in the country. 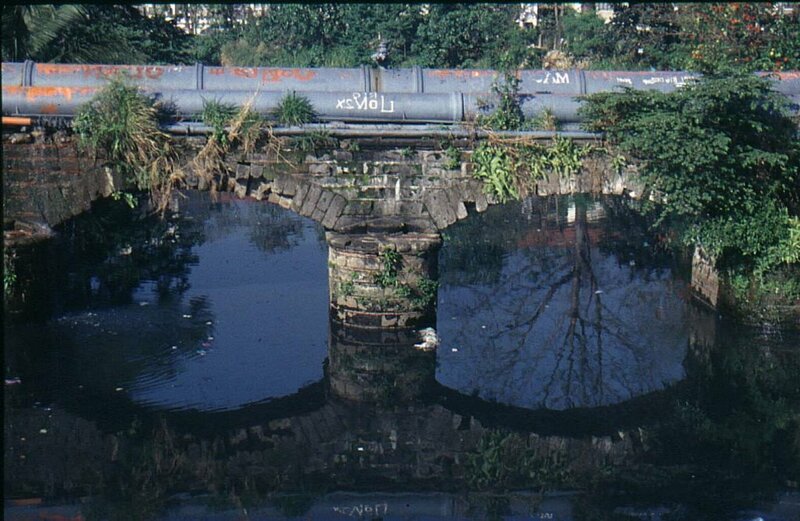 This bridge, famous for its engineer or otherwise, similarly didn’t last long and was subsequently replaced. The fourth significant span to be erected in the islands is small in comparison to those that crossed the mighty rivers of our country. Covering only a small distance, roughly about 15 meters, the bridge over the Estero de Binondo in Manila is unique due to its ability to lift its platform from the ground to accommodate passing boats or cascos. The Lift Bridge inaugurated in 1913 was the only one of its kind in the country. Spared from the destruction that befell most of colonial Manila during the Liberation, the Lift Bridge of Estero de Binondo was until recently the only link to both banks of the estero along Calle Dasmariñas until, its subsequent replacement by the most beautiful of all DPWH bridges, the standard concrete bridge. During the American Commonwealth Period, a frenzy of bridge building was experienced throughout the whole archipelago. Great engineers and builders as they were, the American Master proved that what could be linked by a bridge was indeed connected. 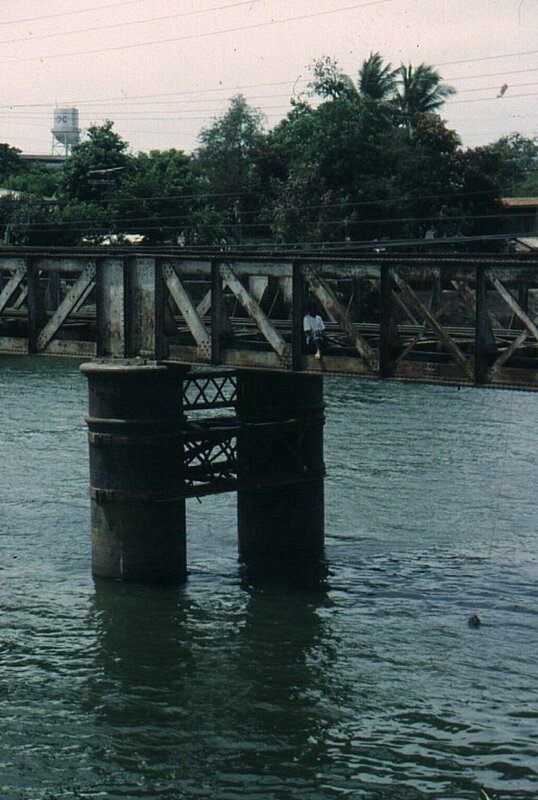 Only immense distances hampered the erection of a bridge and it was only long after independence that a bridge would connect major island groups. Other bridges as well crossed the various spans that litter our country. With the arrival of the trains, railroad bridges became increasingly important. Though uniform in nature, these bridges especially those built along the northern and southern lines bear witness to the growth and prosperity of the communities that the railroads passed. Though a majority of these bridges were destroyed during the Second World War, its eventual reconstruction heralded a new dawn to a war ravaged country. 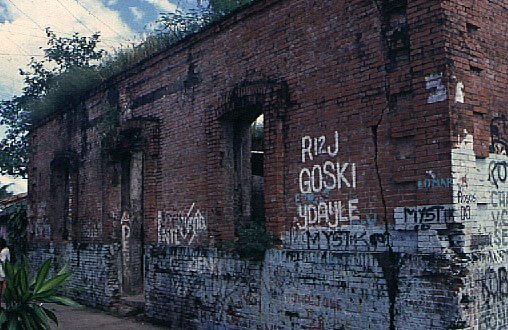 Today these rail bridges that connect Manila to the north and south are still standing, though the north line has been abandoned, the ghosts of its past still haunt the familiar landscape with its bridges standing isolated and unused. The south line on the other hand is very much in use and its bridges constantly being inspected and repaired for the safe journey of not only the locomotives that pass above her but the make shift trolleys that ply her rails. Today as we enter the new millennia, ambitious projects are underway, though most of it still in the drawing boards. Old bridges, aesthetically appealing as they may be are being replaced by modern albeit mundane spans, capable of carrying a much greater load and a larger capacity. A link connecting the Islands of Panay and Guimaras and eventually to Negros is being studied. Likewise a bridge from Dumaguete to the southern tip of Cebu is being planned. Also in the drawing boards is a bridge connecting Luzon with Mindoro. Utopian as it may seem, it should be remembered that it was only recently that the famous San Juanico Bridge joined the Islands of Leyte and Samar. Today another bridge has been inaugurated crossing the Mactan Straits. So it is not impossible that in the future bridges would connect our scattered islands making travel from Aparri to Jolo possible by car without ever boarding a boat or ferry to cross the treacherous seas that once scared even the most experienced navigator. With the future within our reach, and technology making the impossible possible, soon the whole nation would be joined in one. As most of the western world has started to connect with one another, physically as well as through cyber space, the globalization of our country has similarly begun. Bridges and eventually tunnels would span open waters, and through these people and the commerce and cultures that they bring will be experienced and shared by all. What Mother Nature initiated, with a fallen tree across a treacherous gap has been improved by man with the multitude of bridges that he has designed throughout the ages. The country has been part of this experience, hosting a variety of designs and technology, from the primitive span to the Steel Cabled Suspension Bridge. It is only a matter of time, and money for our utopian dreams of linking the whole country to become a reality. For with the progress in development of technology and innovative bridge design, the Philippines will be bridged not only into the future but also into a brave new world. Used more by makeshift trolleys that ply the Southern Tracks, the Mauca Railroad Bridge has a unique span with inverted truss support rather than the usual saw truss. 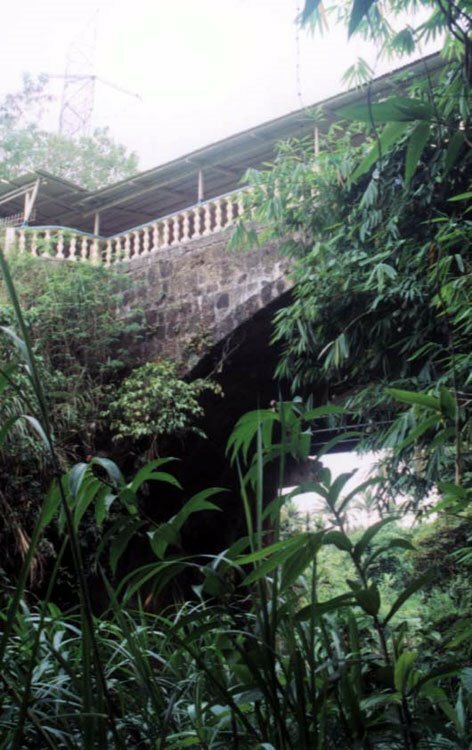 Built in 1883 as a viaduct to supply fresh drinking water to Manila, the bridge over the San Juan River, drawn up by Geraro Palacios y Guerra, stands as a mute witness to the turmoils that led to the start of the Philippine-American War of 1898. 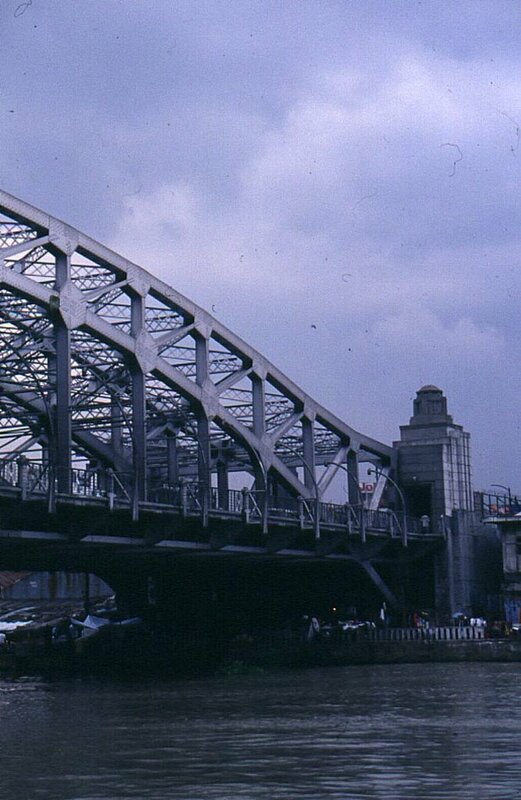 Spanning the mighty Rio del Pasig, the Quezon bridge, built in the 1930’s replaced the aging Colgante Foot Bridge. Designed in the prevailing Art Deco style, the bridge echoed the Sydney Harbor Bridge which no doubt was its inspiration. Spanning the mighty Rio Grande de Pampanga, this bridge built during the American Period was heavily damaged during the Second World War and was subsequently rebuilt in 1946 with the reconstruction aid granted by the United States of America. Today, a more modern concrete bridge is replacing this unique bridge over the Rio Grande de Pampanga. Completed in 1929, the Railway Bridge over the Bauang River in la Union was the longest bridge ever built by the Manila Railroad Company. Today this bridge lays silent, abandoned after the eruption of Mt. Pinatubo destroyed much of the track of the Manila North Line. 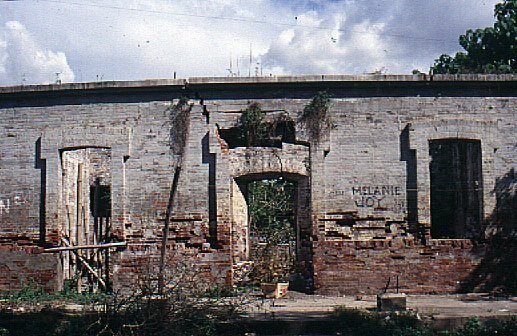 Built during the 19th century, one of the few remaining bridges built by the Spanish Colonial Authorities, the bridge in the town of Santa Maria is made entirely of bricks. Proof of its durability and strength, the bridge still withstands the weight of passing busses and trucks. Built in 1850 by Don Julian S. Francisco, the bridge which is one of the few remaining long spans built by the Spaniards in the Philippines, is made of 5 wide arches spanning the Dumacan River. 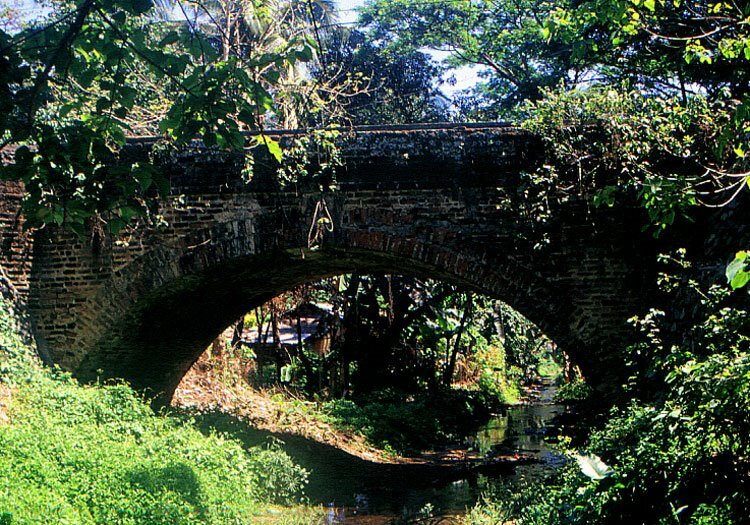 A single arched bridge which spans the Olla River, is made of adobe in 1874. The bridge is also dedicated to the Nuestra Señora de la Porteria whose shrine is situated below it. 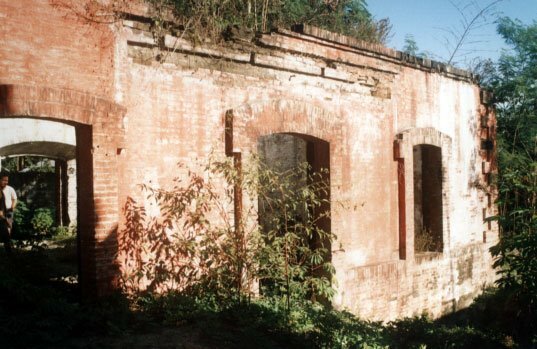 Built in 1818 by Fray Francisco Rocamora OP, the single arched brick bridge spans the Abanatan Creek. 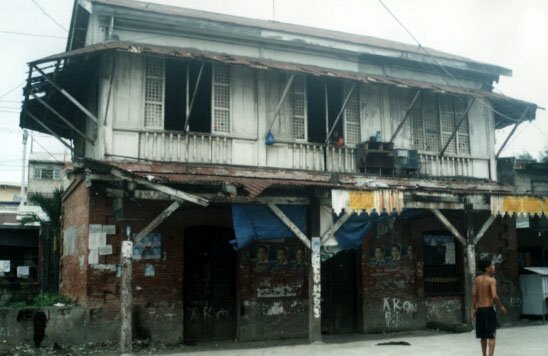 In the 1880’s, the Spanish Colonial government undertook massive construction frenzy. Its main goal: to protect the ever-increasing maritime trade the Philippines was then experiencing. With the end of the famed Manila-Acapulco Galleon Trade, the Philippines was opened to a wider network of international trade. This necessitated more shipping routes to and from the islands, as well as more connection between Manila and beyond. In the absence of modern satellite or radar technology, navigators at that time relied heavily on astronomy; on stars to map and chart their courses. Though medieval, this proved adequate, considering that explorers were able to find their way around the globe with nary an incident. But to further ensure the safety of the galleons – by these time coal-burning transport ships laden with precious commodities – further guides were needed to bring the ships safely into harbor or open waters. This brought about the construction of faros (lighthouses) throughout the archipelago. By the 19th century, towards the end of Spanish colonization, the Spanish Colonial Government undertook a massive lighting of our seas. The Plan General de Alumbrado de Maritimo de las costas del Archipelago de Filipino or the “Masterplan for the lighting of the Maritime Coasts of the Philippine Archipelago” was undertaken by the Inteligencia del Cuerpo de Ingenieros de Caminos, Canales y Puertos or the “Corp of Engineers for Roads, Canals and Ports. The task to light the seas and channels of the country to guide ships in and through the most important sea channels to the Ports of Manila, Ilo-ilo and Cebu. This plan, which was drafted in 1857, was immediately set into action with the preparation and eventual construction of roughly 70 lighthouses allover the archipelago. Of these 22 are of major construction works while the rest were of lower classification lights. Spanish Engineers were tasked in the preparation and supervision of these lighthouses. Engineers such as Guillermo Brockman, Magin Pers, Eduardo Lopez Navarro, Ramon Ros, Enrique Trompet Vinci, Alejandro Olano designed structures that were functional, comfortable and beautiful as well. 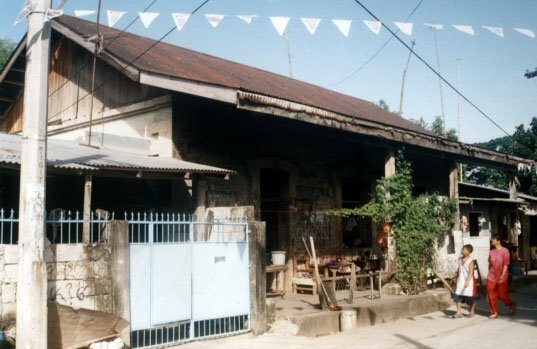 These structures located in the most beautiful and spectacular sites, lonely isolated islets, cliffs, barren rock outcrops, bluffs, capes and points, are testament to the commitment the Spanish Colonial government had on the Philippines to modernize it and make it competitive at the dawn of the 19th century. Designed in the prevailing renaissance revival style as well as the Victorian Style of Architecture, these structures, composed of tower, pavilion and service buildings were built to house the lights as well as the keepers who would man them. The tower, the most significant part of any lighthouse was made strong and tall to ensure visibility at any given condition. The pavilion on the other hand was designed to accommodate the lighthouse keeper and his family whose role it was to ensure that the lights were lit every evening and that the prisms or Fresnel Lens are rotating. 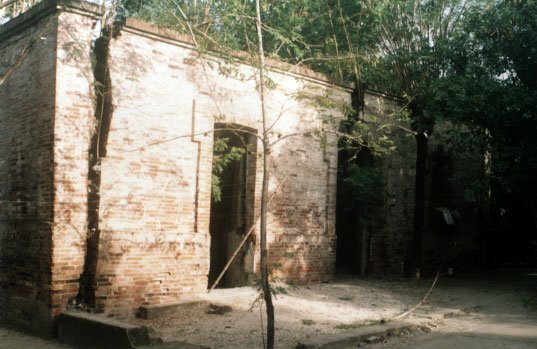 Two service buildings, usually flanking a grilled courtyard would contain kitchens and almacenes or storage rooms for the combustible materials that were used to light the tower. 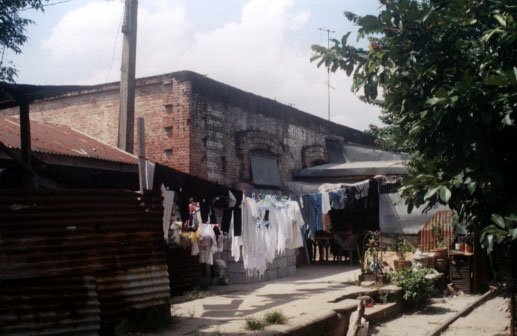 An outhouse situated a few meters away from the complex served the toilet needs of the keepers. Different towers were designed by the Corp of Engineers. The most significant are those made of masonry of either brick or stone. Of the lighthouses visited during the course of this research, 13 towers were built of masonry. Faro de Cabo Engaño, Isla Palaui, Santa Ana, Cagayan, Faro de Cabo Bojeador, Burgos, Ilocos Norte, Faro de Punta Capones, Islote de Capon Grande, San Antonio, Zambales, Faro de la Isla de Cabra, Lubang, Mindoro Occidental, Faro de Rio de Pasig, Binondo, Manila, Faro de Isla Corrigedor, Cavite, Faro de Punta Malabrigo, Lobo, Batangas, Faro de Cabo Santiago, Calatagan, Batangas, Faro de Islote de San Bernardino, Bulusan, Sorsogon, Faro de Punta Bugui, Aroroy, Masbate, Faro de Isla Gintotolo, Balud, Masbate, Faro de Cabo Melville, Isla Balabac, Palawan, and Faro de Punta Capul, Capul, Samar del Norte. Towers of metal were also fabricated, these towers known as Tourelle, were made and manufactured in France and would easily be assembled on site. 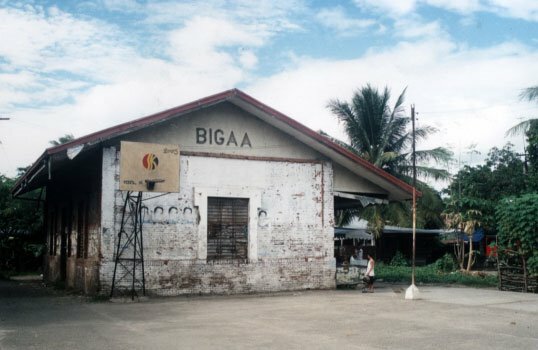 Such towers are found still standing at Luz del Puerto de San Fernando, San Fernando, la Union, Luz de Isla Bagatao, Magallanes, Sorsogon, Faro de Islote de Siete Pecades, Dumangas, Ilo-ilo and Faro de Punta Luzaran, Nueva Valencia, Guimaras. Though the towers of Faro de Islote de Manigonigo, Carles, Ilo-ilo, Faro de Sibulac-Babac de Gigantes, Estancia, Ilo-ilo, and Faro de Isla Calabazas, Ajuy, Ilo-ilo have been replaced with modern aluminum towers and lights, they originally contained metal Tourelle towers. Metal towers too were used for Faro de Islote de Tanguingui, Bantanyan, Cebu, and Faro de Islote de Capitancillo Tobogon, Cebu, supported by metal framework, these towers were able to rise taller than the Tourelle, which had a standard height of 6 meters. Today, these lighthouses built by the Corp of Engineers of the Spanish Colonial Government over 100 years ago are in various states of disrepair or ruin. Some are in admirable condition such as those of Faro de Cabo Bojeador, Faro de Punta Malabrigo, Faro de Cabo Santiago, Faro de Isla Gintotolo, Faro de Siete Pecados, Faro de Cabo Melville (which still retains its original 1st order Fresnel Lens and could be made operational again with minor repair work), and Faro de Isla Corrigedor, which was restored by the Cooperacion Español, while others are in need of immediate attention, such as Faro de Punta Capones, Faro de Sibulac-Babac de Gigantes, Faro de Isla Cabra, Faro de Islote de San Bernardino, Faro de Punta Capul, and Faro de Punta Bugui (with its 3rd order lens still intact). Though some are still repairable, there are a few which are today sadly in total ruin. 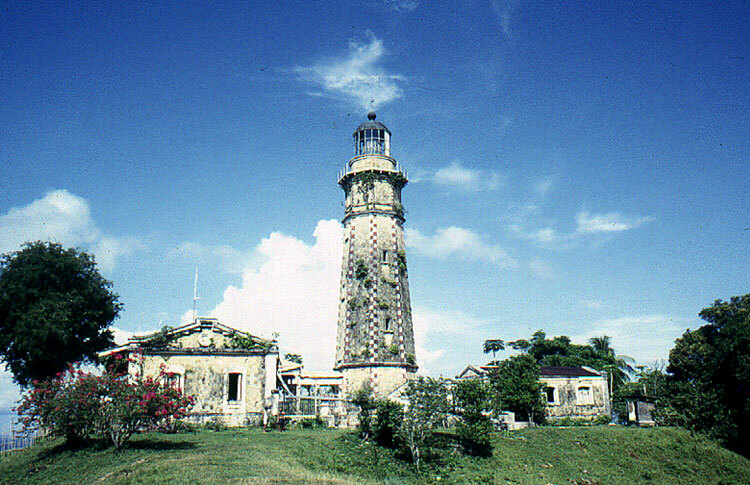 Lighthouses such as those in Cabo Engaño, Islote de Tanguingui, Islote de Capitancillo, Punta Luzaran, Islote de Manigonigo, and Islas Calabazas are in total ruin and would need massive amounts to restore and made habitable again. But what is the point of restoring, when these lighthouses do not function the way they did a hundred years ago. True, these lighthouses are still needed to light our seas. The tower receives numerous funding for its modernization and upkeep, with most towers retrofitted with modern solar light, thus necessitating the removal of historic bronze cupolas and its inch thick Fresnel Lens. With the towers automated, the need for lighthouse keepers to man such structures is obsolete. Today, lighthouse keepers have an easier task, visiting towers only once in a while to replace busted bulbs and to do minor maintenance work. But with funds scarce, the damages wrought by over 100 years is too daunting. The Spanish Colonial Lighthouses built over 100 years ago still serves its master well. Guiding ships to their ports of call, these structures, stripped of their dignity still stands proud in their lonely windswept location. Yet even with time and the elements acting against them, the beauty that the Spanish Engineers erected on our soil cannot be erased. It is time that we, the inheritors of this patrimony should do what we can to ensure its survival for the next 100 years. For these lights not only lit the souls and imaginations of those who chanced upon them they also guided a nation to progress. 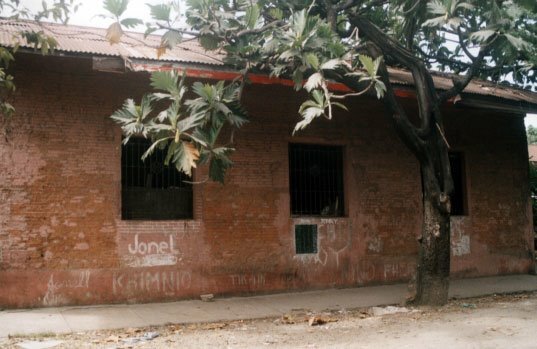 The essay is based on a report conducted by the author on Spanish Colonial Lighthouses in the Philippines through a grant received in 1998 from the Ministry of Education and Culture of Spain “Towards a Common Future” and the Center for Intercultural Studies, The University of Santo Tomas. Throughout the study, from 1998 to the present 24 Spanish Colonial Lighthouses all over the country were visited and studied. A detailed assessment of their conditions was conducted and recommendations made to the Coast Guard of the Philippines for their eventual restoration.